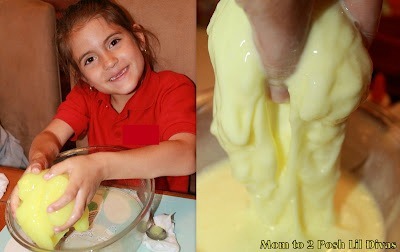 Google+ Mom to 2 Posh Lil Divas: Wordless Wednesday: Glow in the Dark Flubber Fun! Wordless Wednesday: Glow in the Dark Flubber Fun! Be forewarned - this post is NOT wordless. Sorry! 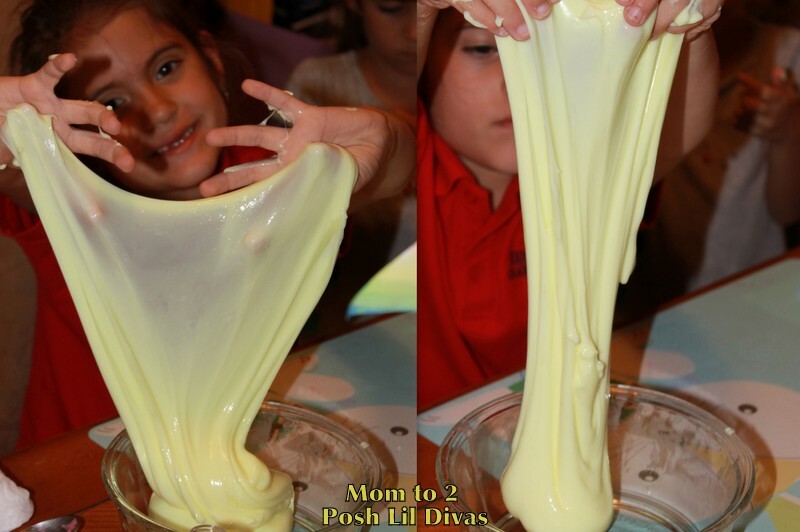 The Lil Divas LOVE mixing up a batch of Flubber. 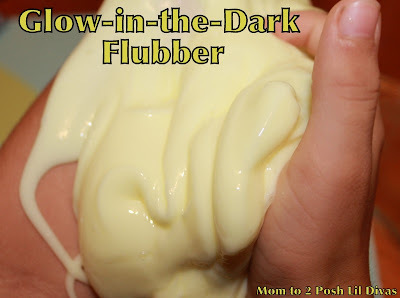 for Glow in the Dark Flubber and was begging to make some. we mixed in some glow in the dark paint. 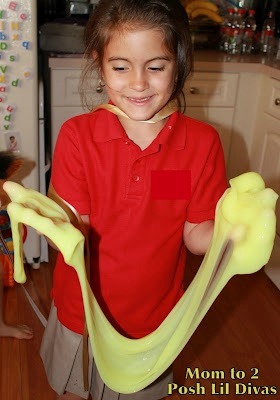 Here's the fun we had with our Glow-in-the-Dark Flubber! and it does indeed GLOW! FUN! If you haven't played with Flubber, you must try it out with your kids. It is such a fabulously tactile substance & sensory rich experience. This is so cool! I need to get some glow in the dark paint. Ewwww.... Looks like loads of gooey Fun! Where can you buy Glow in the Dark paint? and what kind? I buy it at JoAnn Fabric and WalMart - it's sold with the acrylic paints. This is cool! I've never seen that before. Too bad that you can not see it shine. How much glow in the dark paint did you add to your recipe?? ?